Like the Phoenix Wright custom, this was one of those ideas that was just going to haunt me until I brought it to fruition. Now were can I buy one ? 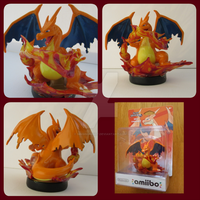 This custom amiibo is literally my favourite outta all the other ones I've ever seen. This is really great, it brought a stupid grin to my face! I love the little shades as well! The shades were a last-minute addition but I'm really glad I made them. dont supose you sell these? Working on that currently. I wanted to wait until I could stick a Roy NFC chip in this one to put it on sale, but I anticipate the demand will be high so I'm not going to do a private sale for it. and then Roy Koopa had his sword, and Roy Emblem was still ok with the trade.